While there are many examples of co-operatives who do very well in achieving profits in today’s business world, they exist for a much broader purpose. Co-operatives come in all shapes and sizes and they engage in a wide range of business activities, from retailing to agriculture, finance to social care and from housing to technology. Co-operatives are built around a set of ethical values, commitments & principles such as self-help, community development, social responsibility, equality and solidarity, all principles of sustainability which have become highly relevant in today’s world of work and the wider economy. They are initially formed to meet the needs of their active members, though help to serve people and businesses in other sectors. We know that in the UK as many as 23% of the workforce are actively disengaged which will come to a high cost to any business. Using a methodology developed in the US, we estimate the cost of workforce disengagement to be around £36bn for the UK. Here is where a co-operative business model may be worth considering. The benefits of the co-operative model lie in the degree of control, autonomy and ownership experienced by individuals. People become members of a co-operative and then help influence how it is run. Co-operatives put people first, positively impacting on people’s values, sense of purpose, autonomy, motivation, creativity, well-being and skills. Co-operatives are at the cutting edge of social, socio-economic and environmental initiatives such as green energy, recycling, biodegradeable packaging and conservation, and have led the way in Fair Trade procurement. Across the globe, the co-operative economy is worth £35.6 billion and has 13.5 million members. 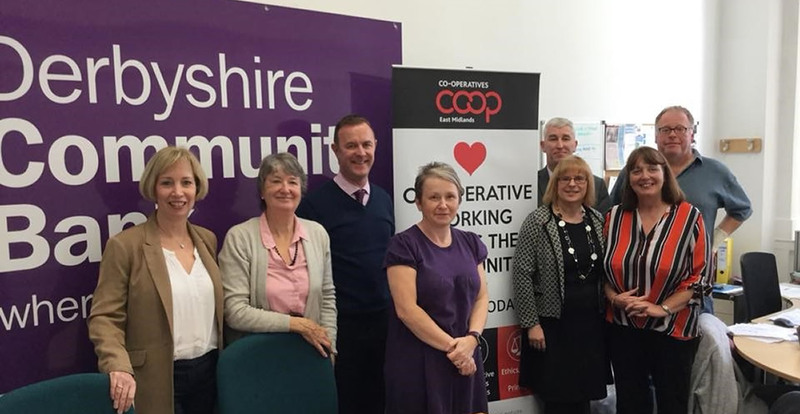 We have added the Co-op Foundation Presentation on "Helping disadvantaged communities work together to make things better"
You can make booking for Co-operatives East Midlands events from the Events page. Co-operatives are built upon and guided by seven principles. 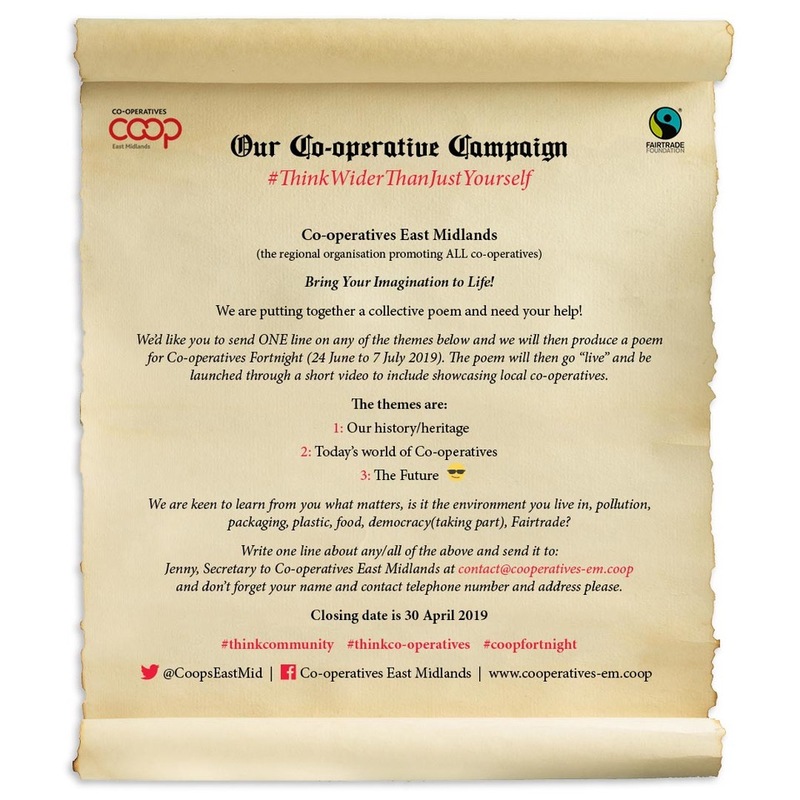 Co-operatives East Midlands is "an unincorporated association".